There are historical reasons behind the emergence of the 996 culture. When China’s tech and start-up scene started to flourish in the early 2000s, most companies sought employees willing to work around the clock, something which helped some of them grow into the country’s biggest companies. Tech company Tencent, for example, is among the world’s five most valuable firms. 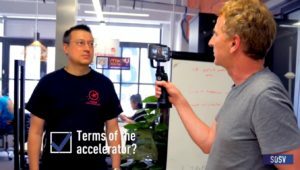 “For the last 10 or 15 years, the work culture has been extremely intense,” said William Bao Bean, a venture capitalist and the managing director of start-up accelerator Chinaccelerator. And because China’s tech companies, who were among the first adopters of unpaid overtime, are now the largest employers, companies in other fields have also started to make their staffs work longer hours in a bid to match their success. The normalisation of unpaid overtime led to the invention of the phrase 996 – but Bao Bean says the very existence of the phrase is also a sign that attitudes might be changing. “The fact that there is now a word for it and that we are having a conversation about this shows that the market is maturing,” he says. However, Bao Bean says that people who like their work environments are not grumbling about the hours. Companies who inspire their employees offer good compensation packages and that are prestigious can find people to work 996 without complaint, he says. “China has moved from a society that was told what to do, to one that is doing what it wants to, and that’s also a millennial thing,” he says.